I've had a place to lay my head, hang my coat, and take off my shoes since we arrived in Baku...in a hotel...temporary housing, but very soon, we will have a permanent place. For some reason, all week I have been singing to myself...."this is not my home, I'm just a passing through, my treasures are all laid up, somewhere beyond the blue". I know, I know, there's more to the song and I know it's a stretch, but somehow it seems to fit. A tune to help me get through living in a hotel room for two weeks....yes, it's been two weeks since we arrived....seems longer than that! Hopefully, we will be moving to the city very soon....maybe today! Our hotel is located outside of the city on the beach...and in the summer, I am sure this is a bustling place, but in the winter, not so much. I'm ready to be in the city where there is shopping, eating establishments, and lots of boots people to see! It is difficult to sleep in a different bed with a different pillow in a different place, so I am ready for my own! Our bed won't be here until sometime in February, but my pillow should arrive in the next few days....so I will have a familiar place to lay my head. Although, we have not had snow here like our home state has had this winter, the wind is very cold coming off of the Caspian Sea. My coat has been on my back more in the last two weeks than it has been in the last two years at home. I will be finding a coat rack for our entryway for easy access...a place to hang my coat! 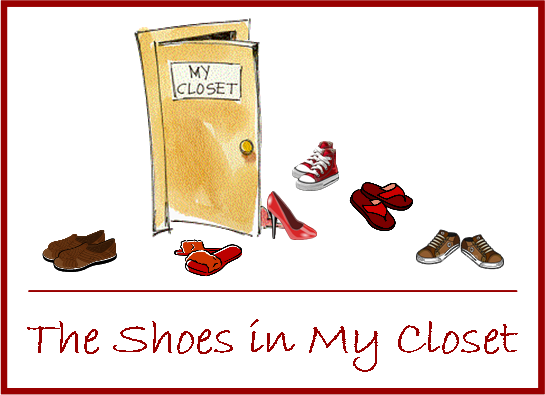 It is customary here to remove your shoes when you enter someone's home. Not particularly a habit of mine, since at home, I'm half barefoot wearing flip flops most of the time anyway, but I like the idea! Remember, this is a sea port/beach city so it is very sandy with lots of sand and dust blowing with the strong winds of the sea, so your shoes get dusty tracking the dust and sand from the streets into the house....sounds like a woman's way of thinking! I definitely feel at home when I take off my shoes. So..."this is not my home, I'm just a passing through, my treasures are laid up, somewhere beyond the blue"....in more ways than one! There have been so many times in my life that I truly have felt the weight of the world on my shoulders. Those of you who know me well, know the poundage that I have carried, off and on over the years...I don't mean the bodily kind of poundage, although, that is true as well with all of its ups and downs...I mean the poundage that life gives us that tests us, producing patience in us so that we may be more like Him. Over and over God has shown me that He will always be there to help me....proving to me time and time again that I will not be given more than I can carry....although, I so many times wanted to question Him. As I was departing on this new and exciting adventure, it dawned on me that I would be entering a world where no one knew me or about any of the shoulder weight that I had carried more often than I desired. Meeting new people, discovering new surroundinigs, conversing more through body language than words....I had a choice...accept this as another weight on my shoulders or go along for the ride of my life and enjoy it to its fullest....I choose the latter. I will walk this path before me with joy, excitement, and wonder topped with a little jetlag every now and then. My first encounter with joy came on the first day of my arrival in Baku. What a joyous experience it was! Not many would find joy going to a medical clinic for a check-up, but everyone in the office was so kind and eager to help. Although that did make the experience easier, it was not until the nurse took me into an examining room for the preliminary routine checks...pulse, blood pressure, weight...that I experienced that joy. Maybe it was jetlag, maybe it was nervousness, or maybe...., but I stepped on the scale and was thrilled at the sight of my weight. The nurse told me that I was the first lady that she had ever weighed that didn't ask to remove her shoes....my response....I will carry the weight of the world on my shoulders shoes on my feet any day as long as I am weighed in kilos. My mind doesn't compute in kilos...only in pounds......kilos looks like half of the pounds. Next time I feel as though I am carrying the weight of the world on my shoulders, I will think in kilos because I know that God is carrying the weight with me....I will face the weight with joy! That's about how I am looking right now! Lack of proper nutrition and proper sleep during the long flight to Baku is showing up on this traveler's face. I haven't had difficulty with the time difference. It feels like morming when it's morning and night when it's night and I'm hungry when it's mealtime...but I'm looking like a worn out shoe! I don't feel like one though....all comfortable, stretched out, fitting the foot just right....nope! I am anything but that! Life is requiring a lot of talking with hands to communicate, adjusting to unfamiliar surroundings, and living out of suitcases....9 of them to be exact and that was after a sea-going crate and an airbound carton left with our belongings last week. as if it is second nature. Driving is his profession! He speaks Russian, Azeri, and English...I'm a little envious of his ability to communicate and translate. He helped us with that too, when we stopped to purchase a phone for me to use while in Baku. That was an experience! I still don't understand exactly how it works...instruction booklet is in Russian...they were able to find an English version for me, but their system is so different....all prepaid phone cards, no service contracts. then down the highway that follows the contour of the beach. and making their way home after an evening in town. We came upon a food vendor that sells roasted chicken and flat bread. for 1 manat...or $1.20 USD. The ladies in this shop were excited to show me how their food was prepared and let me capture it in pictures. I felt a little like Lucy Ricardo when she was on her European tour trying to get a room and some food while in Italy....if you're not an I Love Lucy fan, you may not understand what I'm talking about, but suffice it to say that words just didn't communicate....fingers hands had to do the walking talking. But oh, the joy, when you come to an understanding and there are squeals of delight and breaking out in an international language....laughter! so much to take in...I forgot to take pictures of all those boots....maybe next time because you must see! We stopped in a small cafe for a late lunch...Sunset Cafe. After eating our lunch, a young man, Ryan, came to our table inquiring if we spoke English....absolutely! As a traveling chef from South Carolina, he began his journey in Rome, made his way to Baku, and plans his next stop to be France. According to him, he is building his resume, discovering his own way with different ingredients to prepare food. He invited us to return one evening to experience one of his creations....not just a burger that is on the written menu. I think, we will go back, if for nothing but an English conversation with a southern American accent. for a ride "home", we were sidetracked by a carpet salesman. He drew us into his shop....we tried to resist, but he so wanted us to have a cup of tea! He took us through a hallway past several other shops to come upon his hole in the wall shop. He required us to sit while his partner prepared our tea and he began to unroll carpet after carpet....silk carpet, wool carpet, camel hair carpet....beautiful handmade carpets. Our piping hot tea was served and we sipped our tea with a sugar cube lump in our mouths. It was quite good, I must say! When we told him that we were not interested in any carpets today, he began to show us scarfs....silk scarfs, wool scarfs, camel hair scarfs. We were persuaded to purchase a scarf...one of my choosing after he confused us with so many choices, so I'm not sure what kind of scarf will be around my neck. We finished our tea, paid for the scarf, and as we prepared to leave, he pulled out a table scarf to give to me as a gift. He wants to be our one and only "carpet man". After a day of walking and discovery, I am so glad that I opted for comfort instead of fashion today, or I would be looking like the other worn out shoe! In just one week's time, all of our belongings have been going, going, ....staying! I'm having a little bit of separation anxiety. and some stays firmly in its place at home. My hard-working, steel-toed boot wearing husband keeps me in check about these things....it all belongs to God anyway! I realize, as my hands have literally touched every belonging that we have either by sorting, purging, packing, storing, or giving away, that God has not just blessed us....He has abundantly blessed us beyond our imagination. But on the left hand foot shoe, our belongings....I'm not so sure!